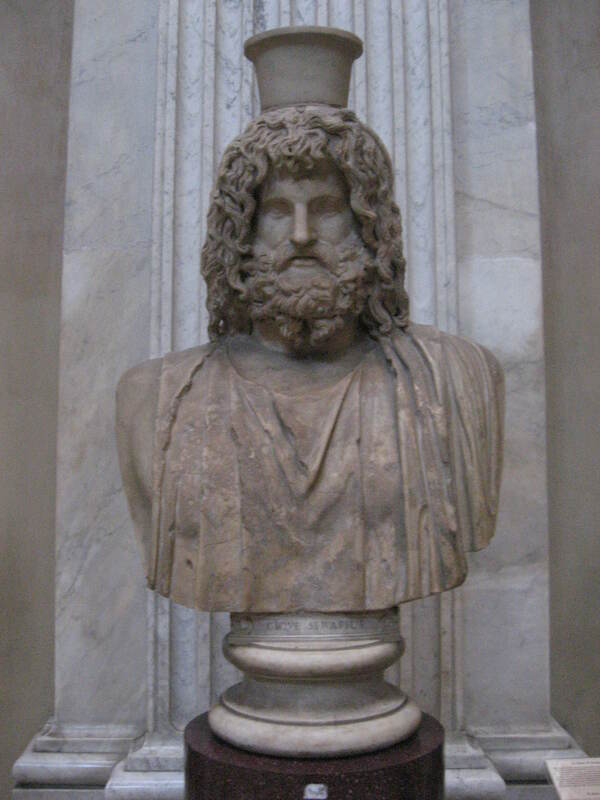 Serapis-Divine Healer or Counterfeit God? In both Jewish and Christian belief, one important characteristic of God is that He is a healer who can restore an individual’s body and sustain health. Common to each faith is the belief that life is a precious gift, as man is created in the image of God to worship Him, give Him glory, take pleasure in His creation, and to walk in such a way that he is a delight to God. To Jews and Christians, life is seen as the vehicle for delivering praise to God because He is a God of life and covenant. One focal point of the quality of life is the sense of blessing through health. Where there is lack of health, sometimes all one can do is cry out to God as Job did. Yet, at the same time it is clear that, even through suffering, it is possible to experience divine peace, the kind that surpasses all understanding. In the beginning, God created mankind not to solely “exist,” but to live according to his/her true purpose—to be in a relationship with Him. God’s creation was perfect, prior to sin entering the world, and mankind did not experience bodily degeneration, which leads to sickness and ultimately death. With sin came sickness and the need for healing. In Hebrew, the word rapha (רפא) is a unique term equated with healing, or the act of being healed or cured. Rapha is used periodically throughout the Bible in different forms, and can take on meanings of divine healing, healing brought about by a physician, spiritual healing, healing of the tongue, or the restoration of a nation. For the covering or repairing of a wound, the Hebrew word gehah (גהה) can be used, and dictates bodily healing, whether through medicine or one’s outlook on life. However, in this teaching letter we will focus on rapha and the healing which must come from God. God literally used rapha through the healing power of Jesus (Yeshua) who encountered a paralytic at the Pool of Bethesda. The incident is described in John 5:2–9. In John’s account, Yeshua visits Jerusalem, enters through the Sheep Gate, and arrives at the Pool of Bethesda, which in Hebrew means “House of Grace.” John states that this pool had five porches, and that this was a gathering place of many sick, crippled, blind, and infirm people. Then, something very interesting is described. An angel is said to have come down to stir the waters, and that the first to reach the pool and enter the waters would be healed. Strange? It is at this place where John gives an account of Yeshua confronting a paralyzed man who has been a cripple for thirty-eight years. The beginning of the chapter sets the scene. We learn about what is happening at this pool, and a little about the lame man who had been stranded there with no one to care for him. We can only begin to fathom what it would be like for this man who was crippled; his body useless by most people’s standards, lying on the ground as other people were healed. He remains alone and neglected. It would appear as though all love was absent from that place. Then, who should appear in the midst of this man’s misery—Yeshua, the famous teacher, and miracle worker from Nazareth. When Yeshua asked the paralytic if he wanted to be healed, the man’s answer should not surprise us. He spoke from the pit of despair. “Sir, I have no man to put me into the pool when the water is stirred up; but while I am coming, another steps down before me” (John 5:7). He is filled with anguish and sorrow. He has never reached the water. Not even once! Now, let’s pause and examine the story. What is wrong with this picture? Some questions need to be asked. Why is the man lying there? What is this place where an angel stirs the water for healing? Since when, in the Bible, does an angel of the Lord heal only on a first-come-first-served basis? Why is it that those people who are healed seem to be those able to reach the pool, yet others—the lame, the blind, and the paralyzed—are left to their own devices? Who is this man whom Yeshua confronts? Finally, what is Yeshua trying to accomplish by approaching this man? To answer these questions, we must first examine some truths in history in order to connect the dots. 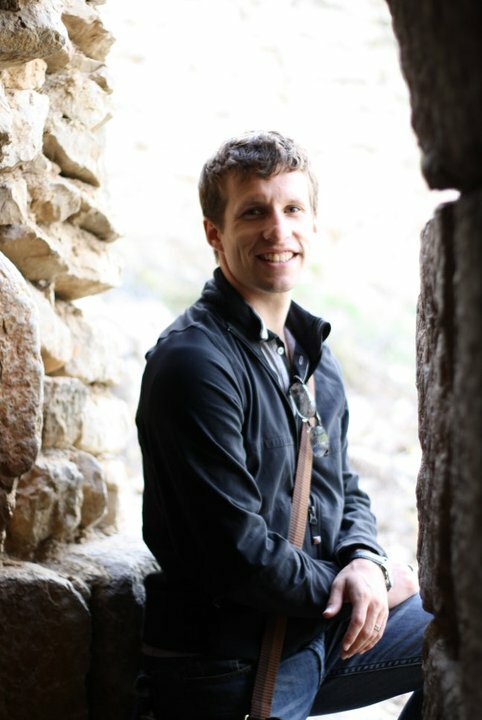 Archaeology has shed light on the location of the Pool of Bethesda and what it was used for. In the first century AD, it was located near the Fortress Antonia, and was used both as a place of relaxation by Hellenists, as well as a temple to the god Serapis (the larger temple was constructed in 2nd-3rd century but there was observance prior to this date). Evidence has shown that the pools were used for pagan ritual immersions and pleasure, and would have attracted and catered to Hellenized people. So what is Hellenism? Hellenism surrounded the Jewish people, and the influence of Greek culture was very appealing. This can be seen in the names of men and women before and during the time of Yeshua, in architecture and building construction, and even in the style in which Herod renovated the Second Temple. Hellenism was a “Greek-minded ideology,” contrary to Hebraic thought in many of its tenets and principles. A large number of Jews, who may have participated in Hellenism to some extent, still rejected the weightier baggage that came along with a Greek paradigm. These issues would revolve around the worship of man, nature, and polytheism, all three of which stood directly against the belief in the one creator God as upheld in the Torah (see Deut. 6:4 for example). Hellenism also naturally produced hedonism, which encompassed the veneration of the body and the literal worship of pleasure. This belief is contrary to Judaism which places God at the center (theo-centric) not man, and sees creation and pleasure as something not to venerate or worship, but to praise God for. Since hedonism places man at the center and literally worships his physique, to be sick or physically unattractive could result in alienation. Hedonism judges the exterior, God judges what’s in a man’s heart. Therefore, one of the many fallacies of hedonism is that if someone is not able to meet this standard of outward, physical beauty, they could be cast out of society—set apart from community. This would explain why all the sick and infirm people were gathered at the Pool of Bethesda, separated from the main population. It is likely that these people would have been discarded Hellenists, due to their presence in such a place, seeking healing at the temple of Serapis. 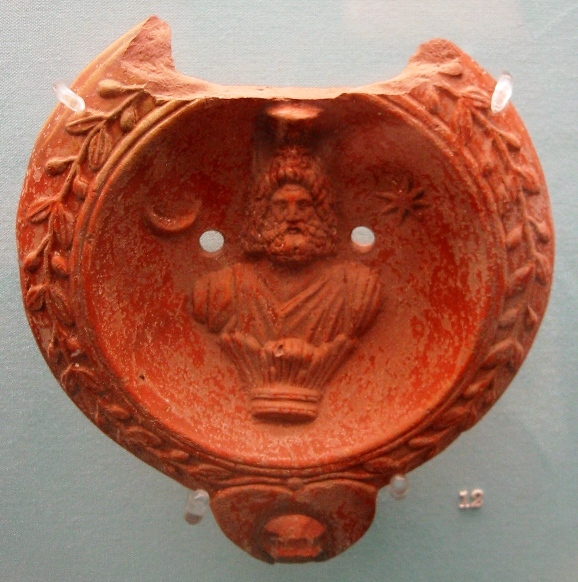 We must therefore ask: who is Serapis and how is this pagan god connected to healing? To understand the origins of Serapis, it is imperative that we visit the period when the Israelites were wandering in the wilderness after they had been delivered from Egypt. In Numbers 21:4–5, we read that “…the soul of the people became very discouraged on the way. And the people spoke against God and against Moses…” The Lord sent fiery serpents among the Israelites as a result of their sin, and as they were bitten, they began to die. However, it was not until the people came to Moses in repentance that things shifted and we see God pour out His mercy on His people. God commanded Moses to “Make a fiery serpent and set it on a pole; and it shall be that everyone who is bitten, when he sees it, shall live” (Num. 21:8). God acted through the Hebrew term rapha and restored. He literally took the nation from a place of sin and doubt, to a place of faith, trust, and salvation. God was not instituting idolatry here, but in this unique case, He desired for them to be brought to the end of themselves, and only through the obedience of gazing upon the bronze serpent could they be healed and delivered. This was an incredible test of faith. The people who had just condemned Moses, accused God, and had symbolically shaken their fists at the Most High, were reduced to pleading for God’s saving power and were restored. It would be wonderful to say that God’s people remembered the true Source of their healing. Sadly, nearly seven hundred years later, we encounter another shocking happening in the land of Israel. Since the reign of Hezekiah was during the Divided Kingdom era of Judah and Israel, it is likely that the worship and reverence of Nehushtan also found its way into the Kingdom of Israel. Hezekiah was able to cleanse his lands, but one thing is commonly known about paganism: idolatry spreads with influence. We can be most assured that it affected the northern kingdom of Israel as well. During this era, we find another god like Nehushtan, and that is Eshmun of the Phoenicians. 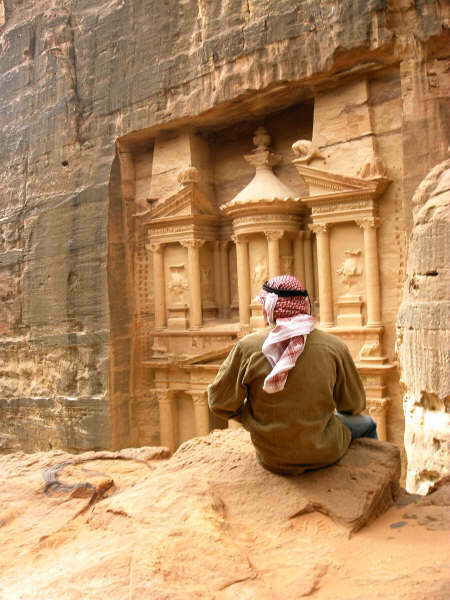 The Phoenicians were a Semitic people who dwelt on the northwestern coast of modern day Israel and southern Lebanon. The derivation of the name “Phoenician” alludes to the purple dyes they harvested from the murex snail, which they widely sold, particularly for royal clothing. It is these people we must now investigate to follow the trail of the serpent of healing. In Dr. Nissim Ganor’s book Who Were the Phoenicians?, we find startling insights into the connection of the Phoenician god Eshmun with Nehushtan. The Phoenicians resided in the large port cities of Sidon and Tyre and were a seafaring people. Evidence in the biblical record and archaeology seems to place them as descendants from the Israelite tribe of Asher, and so they may have had Jewish origins. The possibility that the Phoenicians were of Jewish descent can also be supported by ancient Greek historians such as Herodotus and Diodorus, who described “circumcised people” who had come from Egypt as nomads and settled on the northern coastal plain, a land which had been inhabited by Canaanites and other peoples. It was these Phoenicians who would adopt a god of healing and call him Eshmun. Archaeology has confirmed that Eshmun was considered to be a god of healing and medicine who was portrayed carrying a pole with a bronze serpent coiled around the shaft. This sounds strikingly familiar when we recall God’s command to Moses in the desert of Kadesh regarding the bronze serpent (Num 21:8). How is this possible? It appears that this idolatry not only affected Israel’s northern and southern kingdoms, but these deities quite possibly were adopted by the Phoenicians, changed to suit their culture, and worshipped. Ganor gives a detailed report of the 1901 Macridy Bey excavations in Sidon. During these digs, Bey discovered a temple to the Phoenician god, Eshmun. In this temple he found an inscription that read, “God Eshmun sar Kadesh” or “ruler of Kadesh.” This is another crucial point of evidence revealing the possibility that the origins of Eshmun were tied not only to Nehushtan, but to the original bronze serpent erected in the wilderness to heal those struck by plague. Numbers 27:14 gives us the location of the “fiery serpent” passage discussed earlier—the Desert of Kadesh. Eshmun, who is identified as a god of healing clutching a pole with a serpent coiled around it, is called “ruler of Kadesh.” Could this be the Phoenician name for Nehushtan? There is ample archaeological evidence (pottery, art, clothing, etc.) to make a solid association between the Phoenicians and the Greeks. It is safe to say that the two peoples traded with one another and had contact. So, it should not be a surprise that we find a pagan deity named Asclepius emerging in Greece soon after Eshmun’s appearance in Phoenicia. 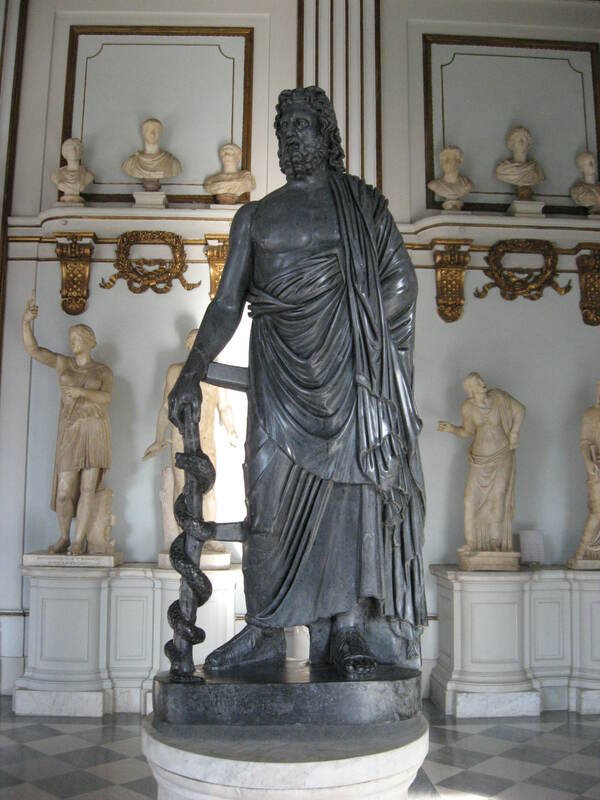 The Greeks saw Asclepius as a god of healing, associated with sacred snakes, who was often depicted holding a pole with a snake coiled around it. The annals of Greek thought are silent as to why snakes were connected to Greek mythology in the first place. However, outside Greek literature, evidence of snakes associated with a healing deity can be found in the Phoenician cult of Eshmun and its arrival upon Greek shores. This, therefore would have had a direct influence in the conception of Asclepius. So how does Asclepius fit into our original question: who was Serapis and where did he come from? As archaeologists uncovered the Pool of Bethesda, a temple to the healing god Serapis was discovered. After the death of Alexander the Great in 323 BC, all the lands he had conquered were divided between his four generals, one of those being Ptolemy I (367–283 BC), who took the lands of Egypt to build his kingdom, and styled it after Greek–Macedonian values. Ptolemy wanted to make his kingdom attractive, especially to the Greeks. Since they considered the animal–human deities of Egypt strange, he decided to create a new god. His desire was that his god would rule the capital of Alexandria, and would contain all the best attributes a god could have. He gave his god all-knowing wisdom (Zeus, Osiris, Helios), the characteristics of fertility (Dionysus), command over the underworld (Apis and Hades), and the beauty of healing (Asclepius). The name he gave his god was Serapis. In Alexandria, he built the enormous Serapeum Temple, which contained the bearded image of Serapis as well as sacred snakes associated with healing. We know the influence of Serapis spread to the city of Jerusalem as archaeologists have uncovered the temple built for him at the Pool of Bethesda. This pool has been excavated and has revealed its secrets. In the time of Yeshua, there were pipes in the floor of the pool that could release air to stir the water and create bubbles. Each morning, the priests of Serapis would release sacred snakes into the water to swim around and prepare it as an offering for the day. There were also hollow pipes along the pool that would carry the sound of the priests’ voices speaking as they beckoned the people to come to the water for healing. As if this was not enough, Asclepius, from whom Serapis received his healing characteristics, is often pictured in Greek mythology with the wings of an angel. Was this perhaps the “angel” the Gospel of John describes—an angel who plays favorites, does not heal everyone, and who only heals those who, most likely, do not need healing? Why was Yeshua at the Temple of Serapis? So, what was Yeshua doing there? A basic precept of evil is that it seeks to distort and sometimes appear as if it is from God. This way, it can lure people and deceive them. More than likely, there had to be some sort of healing agent at the pool to keep people in a state of false hope. Whether the healing was temporary or long lasting, it was a place where hope was fleeting and everything was unpredictable. We do know, according to the Bible, that even Satan can mimic God and has limited power when allowed. This distortion of power can be clearly seen when God allowed Satan to test Job or when Pharoah’s priests were able to mimic Aaron and also turn their staffs into snakes (Exod. 7:11). Satan is the ultimate deceiver, a father of lies within whom nothing good exists. His desire was and still is to be “like the Most High” and he delights in confusion and keeping people from the truth. Christian teaching tells us that Yeshua was very familiar with Satan’s tactics, as seen in the Gospel of Matthew when he was tempted by Satan in the wilderness (Matt. 4:1–11). Yeshua chose to enter the “lions den” to perform a miracle of healing, a rapha. This account demonstrates the extreme degree to which Yeshua was willing to go to in order to heal someone. He told the man to rise, take up his bed, and walk and, before everyone’s eyes, he was healed. 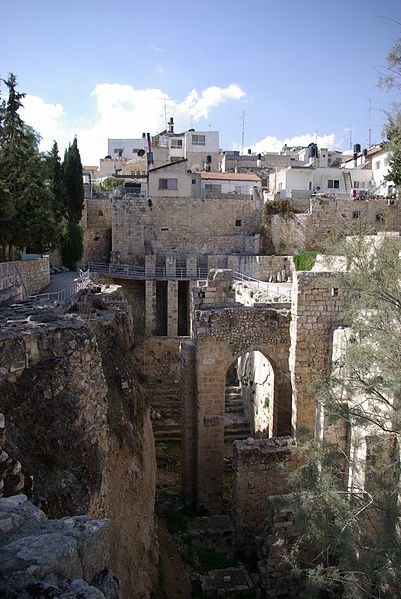 Who was the man Yeshua healed at the Pool of Bethesda? In the verses that follow the miracle of healing, we find that the former paralytic does two things which reveal who he was. First, he answers questions from certain Jews who are concerned with him breaking the Sabbath. Their questions clearly reveal his identity as a Jew. They would not have cared had he been a Gentile. The man tells his Jewish audience that he has been healed and that he only carries his bed because he was told to do so by the healer. When they continue to question him, the healed man is unable to identify the healer as Yeshua, for it is obvious he does not know. Following their questions, the healed man goes to the Temple. Why? Any number of reasons could have placed him at the Temple that day. Perhaps he was there to be reinstated into the Jewish community after being deprived of temple worship for thirty-eight years. Maybe he was there to pray and repent for looking to Serapis for healing, or even yet, perhaps he was there to offer a sacrifice of praise to God for being healed. No matter why he was there, the man met Yeshua in the Temple, which solidifies the man’s Jewishness once again. In excavations around the Temple Mount in Jerusalem, a number of stone inscriptions have been found. These inscriptions were written in Greek and were warnings to prevent non-Jews from entering the inner courts of the Temple. In fact, the closest a Gentile could get to the Temple was the Outer Court. Thus, for Yeshua to greet this man in the Temple, there can be no other conclusion but to say the man Yeshua healed was a Jew. Perhaps the final lingering question that should be begged is: why would a Jewish person seek healing from a false god? Why would he deliberately trust in something that he must have known to be false? This is a mystery. Yet ultimately, this event sheds light on the inner struggle between a man and God. Perhaps the man’s response when Yeshua first approached him gets us closer to an answer. We can surmise that the man felt abandoned, not just by men, but by God. For years he had felt worthless and deserted. There must have been despairing times where he cried out to God and felt nothing. More than likely, his initial response to Yeshua, concerning his feelings of neglect, was but a mirrored image of his bitterness towards God. Yet, a lingering desire to trust God must have existed. This is clearly evident in his actions once he was healed—he went up to the Temple to worship. He understood where the healing had come from. In a place where hope was fleeting, Yeshua and the healing power of God confronted Serapis. The God of Israel used rapha to demonstrate not only complete deliverance from disease, but also spiritual healing. The man was radically changed and not only would his position in society be restored, but his literal faith in God was transformed. God’s sovereign will and His nature will forever be the source of true healing. God breathed restoration upon an ungodly place that day at the Pool of Bethesda, and it should be expected that the power of Serapis in that place was broken. Harper and Row, Publishers, 1985. Hebrew and English Lexicon. USA:Hendrickson Publishers, 1979.
with an Interlinear Translation. Brooklyn, NY: Mesorah Publications, Ltd., 2001. Dearman, Andrew J. Religion and Culture in Ancient Israel. Durant, Will. The Life of Greece: The Story of Civilization. New York: MJF Books, 1966. Ganor, Dr. Nissim Raphael. Who Were the Phoenicians? Israel: Kotarim International Publishing Ltd., 2009. Old Testament. Grand Rapids: Baker Book House, 1979.
and the Yerushalmi and the Midrashic Literature. to the Old Testament. Princeton: Princeton University Press, 1992. Schurer, Emil. Translated: Sophia Taylor and Rev. Peter Christie. Vol. 1. USA: Hendrickson Publishers, 2008. Vol. IV. Grand Rapids: Zondervan Publishing House, 1976. I invite you to explore the dark corridors of ancient history and see it come to life. The study of ancient history has always fascinated me for as long as I can remember. Whether it be the image of Greek hoplites crammed together in a phalanx, or legions marching stoically across the battlefield I believe it has the power to ignite the imagination of the unknown. The ancient world, particularly around the Mediterranean and Mesopotamia, which is what I focus on, was a world very different then what we know today and has stirred poets, politicians, researchers, archaeologists, geologists, and many others to document their findings, write about history seen through their eyes, and try to grasp an understanding of how the ancients thought, behaved, and interacted with one another. This is the beginning of what it means to look into history. We, in the 21st century, can only look through a key hole back through thousands of years of history and unearth what we believe happened based on evidence, be it archaeological and primary written sources. I believe that the study of history is tantamount to understanding how we have ended up where we are. It involves the exploration into our political society, how we function in society, make war, live our lives, and much more which is mostly based on Greco-Roman ideals. To understand the past can open up that key hole further in how we should and should not live our lives and what choices we should or should not take. As George Santayana said, “Those who cannot remember the past are condemned to repeat it.” I seek not only to remember and study the past, but to bring it to life through my writing and hopefully, God willing, give people a glimpse into ancient history of how the people of those times may have worshiped, thought, loved, ruled, fought, suffered, succeeded, died, and lived. We even see the fascination in culture and history taking place in the ancient world with figures such as Alexander the Great or Roman Emperor Hadrian (to just name a few). Documenting ancient history, why bother? Battl es, sieges, generals, suffering, and victory has always been the price tag of ancient civilizations as they struggled together in a changing world as empires and kingdoms marched on leaving many in the dust. 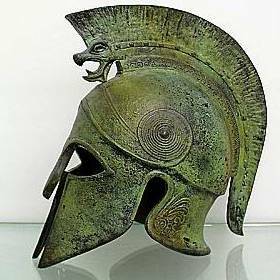 Whether it was Spartans and Athenians, Macedonians and Persians, Carthaginians and Romans, or Seleucid’s and Ptolemies, all shook the earth, all changed history, and all were documented and recorded. To understand the ancients, we must turn to the witnesses and people living at the time and what they wrote. Often, we must understand that much of the ancient records of those days were intertwined with their mythological stances, such as Homer’s Iliad and Odyssey, or The Epic of Gilgamesh, there is still much to learn outside of these boundaries however, once we explore the ancient writing or what is known as primary sources. I personally have focused my time and studies on ancient Greece, Rome, and Israel. However, there is also a greater picture of the people’s and nations living before and after these times which also have piqued my interest over the years which has deepened a desire to broaden my knowledge and appreciation for the complex and diverse world in the B.C.E. years. The timeline is long and the list even longer but the ample amount of rich stories, history, battles, governments, and search for power has never escaped the essence of mankind. I have enjoyed studying such people as the ancient Egyptians, Persians, Babylonians, Assyrians, Carthaginians, Hittites, Canaanites, Phoenicians, Etruscan’s, and many more. The fascinating thing regarding the wealth of knowledge that has been compiled in libraries and universities throughout the world is that even if you had a dozen lifetimes it would not be enough to fully grasp and master the ancient world. Thus, the primary sources are priceless as they offer one of our best ways to glimpse back through time at what life was like and how it happened. For me, over the years I have amassed a collection of such sources in which I have studied to better aid my own writing and research as I work towards publishing and establishing myself as an author. Sources that were indispensable for my study were: Polybius, Livy, Caesar, Appian, Cicero, Xenophon, Dionysius of Halicarnassus, Plutarch, Homer, Virgil, Herodotus, Thucydides, Flavius Josephus, Plato, Socrates, Philo of Alexandria, and of course all other ancient texts (i.e. Dead Sea Scrolls, Book of the Dead), be they on papyrus, or chiseled into stone. To grasp an understanding of Jewish history (whether it be pre-temple period or later) the Bible is by far my favorite source. Not only does the Bible shed light on the history of ancient Israel, it also builds an excellent picture for the nations surrounding it as this picture also corresponds with extra-biblical sources, archaeology, and geography. The Bible is vital in understanding the journey for the Jewish people, from Mount Sinai right up into the Second Temple period (with the Christian scriptures/New Testament). It shows their struggle against paganism, worldly pursuits, and how God called them to be a separate people and a light to the world. This is essential in understanding how the Jews would have thus perceived the Greeks and Romans (in later years) and why they reacted the way they did or rebelled, such as in the age of the Maccabees (167-160 B.C.E), or with the two Jewish revolts against the Romans in 66-73 C.E. and 132-135 C.E. 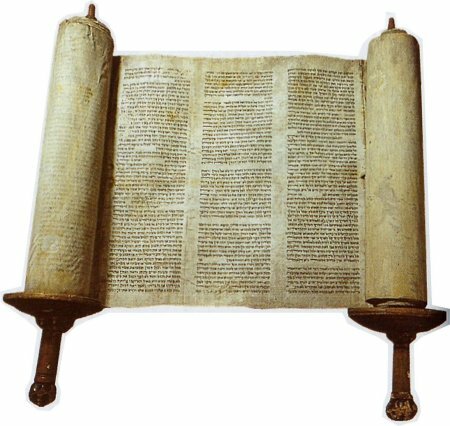 The Babylonian Talmud and other Jewish texts such as the stories of the Midrash can also bring to light much of how the Jews thought, practiced their faith, and resisted the pressures from the outside world, mainly Hellenism, which is Greek lifestyle and hedonism in a nutshell. Also, 1st and 2nd Maccabees of the Apocryphal writings can assist in gathering together a picture of what transgressed and how things played out. I hope I have been able to touch on a few interesting subjects, and I invite you to join me as I move towards publishing my first historical-fiction novel based on the events surrounding the Roman siege of Jerusalem in 70 C.E. and the destruction of the Jewish Temple at the hands of Titus Flavius Vespasianus, the son of the Emperor and commander of the legions of Judea. For a synopsis of the novel, character list, and further information, just select the tab, “70 A.D.” and journey back in time. 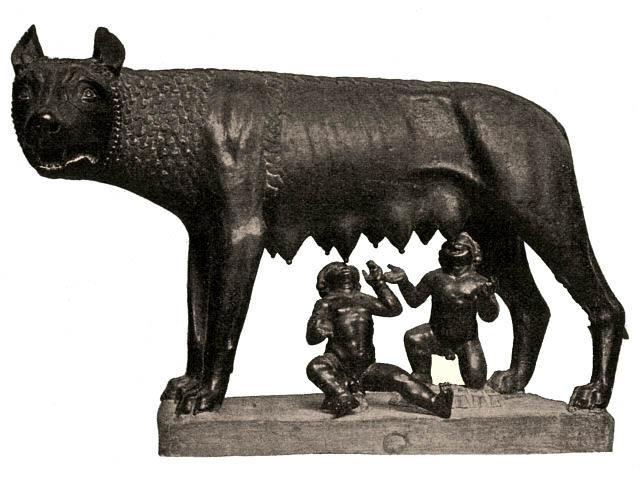 Also, join the group “70 A.D. A Novel about the Jewish War with Rome” on Facebook and stay connected as I move towards the completion and publication of the book.